News stories are generally written in what is commonly known as the inverted pyramid style, in which the opening paragraph features the “5 Ws” of journalism: Who, What, Where, When, Why, and How. The reason for this style is so that the reader gets the most important information up front. Given the amount of time readers have today to read the amount of news generated in a 24 hour news cycle, the inverted pyramid makes sense. The surgeons exhausted every effort of medical skill, but all hope was gone. The Common Core State Standards in Literacy promotes primary source documents, such as this news release, in English Language Arts and Social Studies. Documents like this provide students an opportunity to consider the voice or point-of-view of a writer within a historical context. scrambled to report from the White House, the streets of the stricken capital, and even from the blood-stained box at Ford’s Theatre, where, in his memoir he reports he was handed the assassin’s gun and turned it over to authorities. It was announced in the papers that Gen. Grant would also be present, but that gentleman took the late train of cars for New Jersey. On an examination of the private box, blood was discovered on the back of the cushioned rocking chair on which the President had been sitting; also on the partition and on the floor. The Deed Done at Ford’s Theatre Last Night. 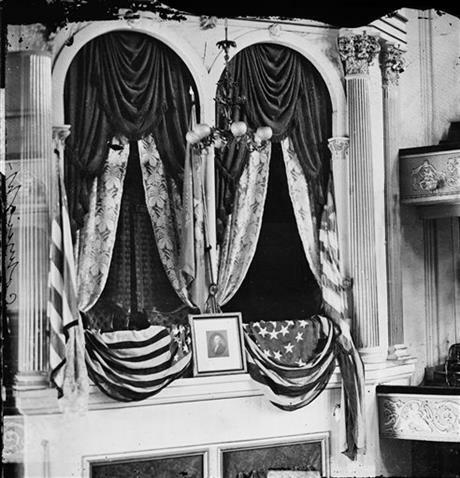 This evening about 9:30 PM, at Ford’s Theatre, the President while sitting in his private box, with Mrs. Lincoln, Mrs. Harris, and Major Rathburn, was shot by an assassin who suddenly entered the box and approached behind the President. 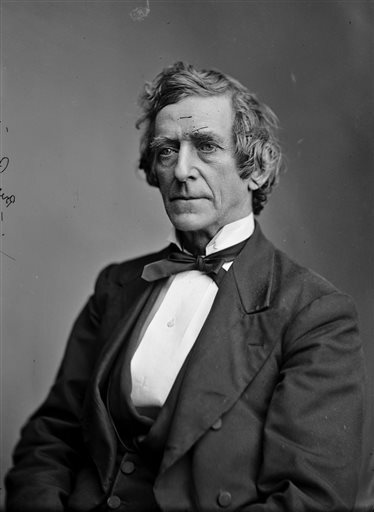 About the same hour an assassin, whether the same or not, entered Mr. SEWARD’s apartments, and under the pretence of having a prescription, was shown to the Secretary’s sick chamber. The assassin immediately rushed to the bed, and inflicted two or three stabs on the throat and two on the face. A stroke from Heaven laying the whole of the city in instant ruins could not have startled us as did the word that broke from Ford’s Theatre a half hour ago that the President had been shot. It flew everywhere in five minutes, and set five thousand people in swift and excited motion on the instant. These first-person accounts of Gobright, Stanton, and others covering Lincoln’s assassination will allow students to contrast what they recognize as the reporting styles of today with an example of the storytelling reporting style 150 years ago. Students can analyze both styles for conveying information, and then comment on impact each style may have on an audience. More important is the opportunity to ditch the dry facts from a textbook, as these newspaper releases allow students to discover that at the heart of stories about Lincoln’s assassination, the reporters were really storytellers, and their hearts were breaking. Story telling using facts, passion and personal interest is an art that should be highly valued and is indeed part of our DNA. Thank you for continuing to reinforce what’s really important in education today. Well, I will admit that when I first read the AP release I had a smug reaction….talk about “burying the lede”! But, like anything else, once I started to consider the POV of the author (Gobright) and what he understood about his audience, I began to appreciate his approach. I appreciated his use of emotion; few editors would allow such subjectivity to remain in a breaking news story. I am glad I spent some time to understand the piece…and I am glad you took the time to read and comment!